Find out the nearest Fever-Bugz® dealer close to you! Where to Fever Bugz® products in Australia. Fever Bugz® are available at HMR Healthcare, an Australian owned and operated company based in Victoria. You can buy thru the HMR Healthcare online store or thru their dealers. HMR has an Australia wide network of retailers that can assist customers with advice and purchasing. HMR also offers an online store for your convenience when in remote locations or cannot find a product available. Note: Fever-Bugz® are recommended for use on children 12 months and older. Fever-Bugz® should not be used to manage important health concerns, as it is only a fever indicator. Always use a thermometer to confirm temperature reading, particularly if you experience any unusual readings. Do not rely only on temperature readings. If you have concerns, seek medical advice. 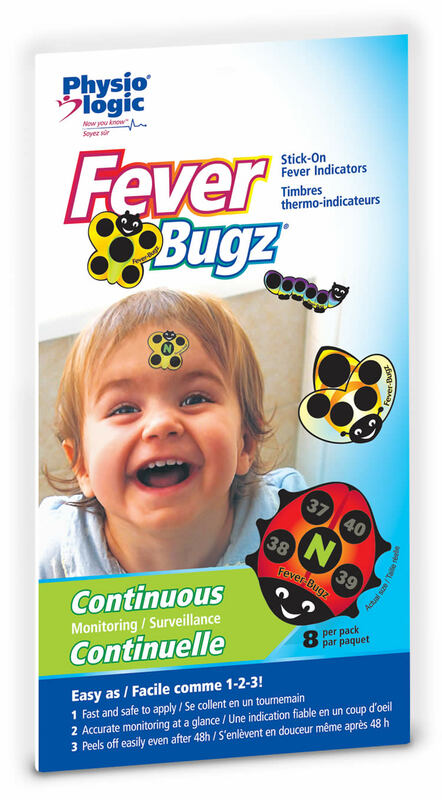 Fever-Bugz® Stick-On Fever Indicator should not replace a visit to the doctor. Neat! Where do I get it? Copyright © 2010-2019 AMG Medical Inc.